EnRoute is a Sonoma venture of the high-profile Napa producer Far Niente, whose diverse labels were spotlighted in this tasting. 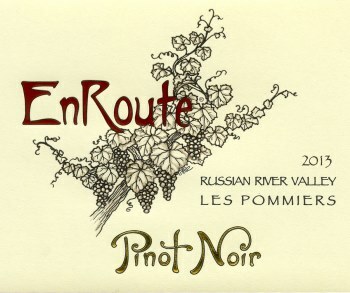 Specifically, the Pinot Noir vineyards cultivated under the EnRoute logo lie in the Russian River Valley, where the river’s cooling influence contributes to some of the finest Pinots in North America. 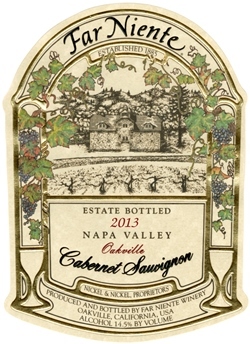 Far Niente Cabernet Sauvignon 2013. 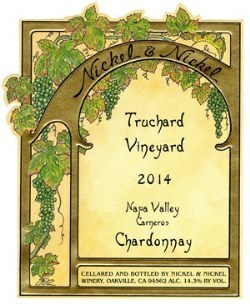 Like the Bordeaux producers on whose creations Far Niente was modeled, this Napa star crafts one red wine each vintage. Even as many prominent Bordeaux wineries now turn out second and third wines, Far Niente abides strictly by its principle of putting its whole effort into one. (The company’s name comes from the Italian expression “dolce far niente,” variously rendered as “the sweetness of doing nothing” and “sweet idleness.”) The 2013 Cabernet Sauvignon is what the French would call grand vin. Its deep ruby-purple color and the complex dark fruit on the nose give way to a flavor menu of luscious dark fruits supported by ripe tannins. Impressive as the wine is now, its true grandeur lies somewhere down the road. This is one for the cellar treasury. ($155).